Easy-peasy, secure and REAL! 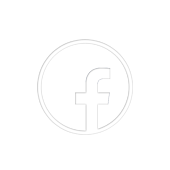 Buy Facebook likes for your posts. Video, picture, text post, doesn't matter. Real active users from major music markets, for the best electronic music social media marketing experience out there. Here's the easiest way to boost your Facebook post with likes – from real, active profiles worldwide. Get 100 organic likes for one Facebook post. It can be a photo, a text post or a video, it doesn't matter. Just send a link when ordering this super convenient music Facebook promotion package. This is a base package with 100 likes for just one post. Browse more EDM digital marketing products and find Facebook likes that you can split across different posts, however you please.